Purchasing this grinder from Frenchpresscoffee.com and using it has been a very positive educational experience. I love my Lido 3 and I'm really glad that I bought one and that I bought mine from French Press Coffee, as their service was beyond outstanding. Depending on how fine or coarse my grind is, I can grind 20 grams of beans with the Lido 3 in about 30-45 seconds when grinding at a relatively unhurried pace. And I can grind across a wide range, from super fine to very coarse (and the Lido 3 is designed to grind at a full range from espresso to French Press). I primarily use it for pour over grinds with V60 and Bee House drippers, as well as for French Press, Aeropress, Clever Dripper, and Moka Pot. There is a learning curve to adjusting grinds but I found it easier than I anticipated. I keep track of different grinds by counting marks on the Lido 3's adjusting ring, and recording the settings in a little coffee notebook. I find it fun to experiment with different grinds. When I first got the Lido 3 I experimented by grinding some old beans at different settings, and that was helpful. The Lido 3 comes with a brush and I do find that I usually have to brush some ground coffee from below the burrs to avoid wasting it, so I can add the time it takes me to do that to the 30-45 seconds it takes me to grind 20 grams. Before buying a Lido 3 I used an under $100 electric burr grinder as well as 3 different Hario hand grinders (an original, a Plus, and a Mini). The difference in the quality of the coffee that I get with beans ground with my Lido 3 is remarkable and undeniable and I will never go back to using any lessor grinder. The Lido 3 grinds beans very uniformly, as I can see with the naked eye as well as with a magnifying glass and loupe, and this obviously makes for a superior extraction. My home brewed coffee has never tasted so good. I anticipate (and hope) that my Lido 3 will eventually be passed along to one of my grandchildren, as it seems built to last "forever." Hello Dean! Thank you for your feedback. We are appreciate it. All the best, FrenchPressCoffee.com. What makes the OE LIDO 3 Manual Coffee Grinder stand out from the rest of the OE line is its very consistent grinding and portable design. Weighing in at just 1+ Kilo (2.7 lb), the LIDO 3 is made to be large capacity portable grinder. The Orphan Espresso LIDO Coffee Grinder is a hand grinder which remains mainstay in any coffee lovers arsenal. The grinder features a full-range of grind adjustment (from Turkish Coffee to French Press grinds) constructed to last day in and day out to create optimally brewed cups of coffee. 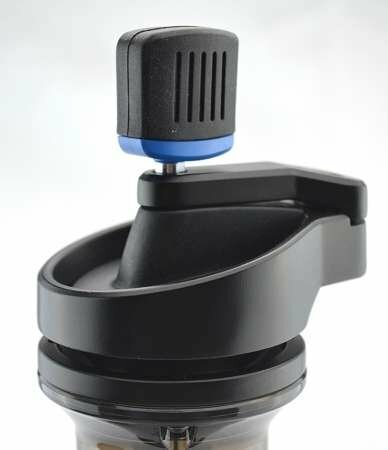 It's made from lighter materials and incorporates an ergonomic handle and improved funnel top that is perfect for loading beans. Not only does the grinder reduce material waste, but its also a more consistent grinder taking less time to produce the right kind of grind. 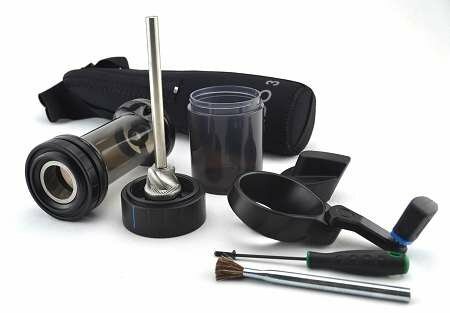 To allow you to cart the device anywhere you want to go the Lido 3 comes with its own carrying case and accessories, making it one of the more unique hand coffee grinders to hit the road. The LIDO 3 also features 48 mm. Swiss made steel burrs with a more aggressive cut than a similar burr coffee grinder, so you can grind your coffee in less time without losing any quality. Use the stepless grind adjustment with dual threaded rings to select and lock in your desired grind. The grinding axle is stabilized at the top of the hopper and below the burr by bronze bearings that reduce burr wobble. The grinder's rubberized grinding handle unlocks to swivel inward when you're ready to pack it up to go. You can store up to 70 grams (10 tbsp.) of beans in the hopper, while the anti-static grinds bin can safely contain around 100 grams of ground coffee. As such the OE LIDO 3 Manual Coffee Grinder is a completely full-range grinder that can tackle everything from Turkish coffee to French Press grinds, to espresso. 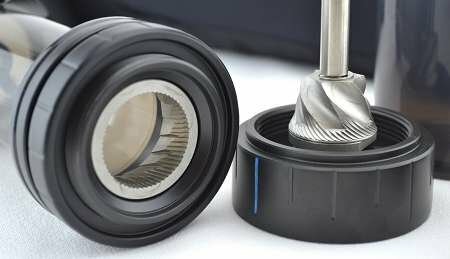 The grinder is well positioned to tackle these different grinds while still being quite affordable and holding its own value. The OE LIDO 3 coffee grinder made for the coffee lover who likes to travel. Its diecast folding crank handle easy swings in to allow the grinder to be packed away into its included carrying case. 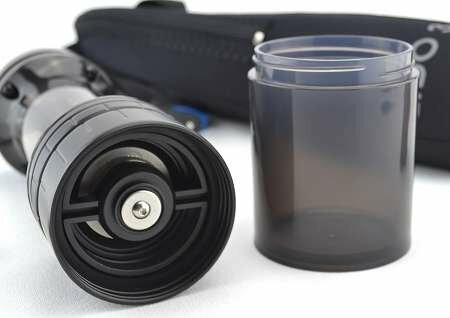 The grinder also uses less materials so it is lightweight and portable for on the go brewing. The LIDO coffee grinder has been designed with an ergonomic, soft grip handle knob. The easy grip handle allows for a quicker manual grind with more precise grounds. The OE LIDO 3 Manual Coffee Grinder features a high quality, 48mm Swiss-made steel conical grinding burr set. Its bronze dual axle replaceable bearing system also provides full grinding stability and allows for more consistent particle size. The OE LIDO 3 is made to withstand daily grinding while still upholding its value. The grinder features a large capacity BPA free food safe hopper which can hold up to 70 grams of coffee beans. It also includes an anti-static plastic catch jar.